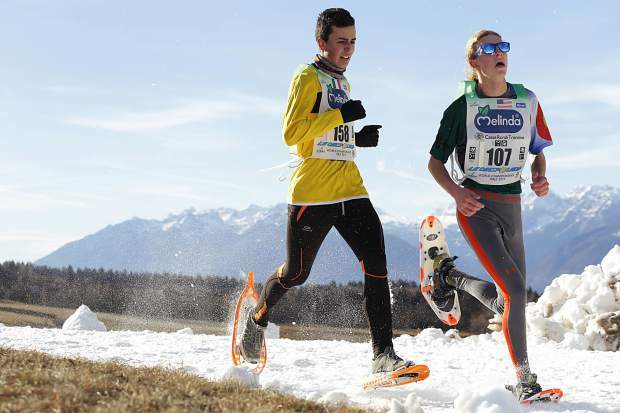 Summit County snowshoer Jeremiah Vaille, left, races in Fondo, Italy at the 2019 World Snowshoe Junior Championships, which the 16 year old won by a 10-second margin. Jeremiah's younger sister Lexi, 15, decided to join her brother for the race just a day before the event, as she was inspired by the opening ceremony in Fondo, Italy. 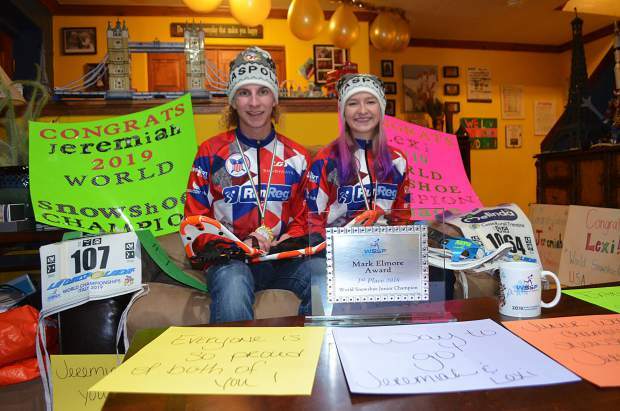 Siblings Jeremiah and Lexi Vaille (right) pose for a photograph with their World Snowshoe Championships gear, memorabilia and awards, along with all of the signs and decorations that their Aunt Sarah adorned their living room with to congratulate them on their performances, on Thursday evening. 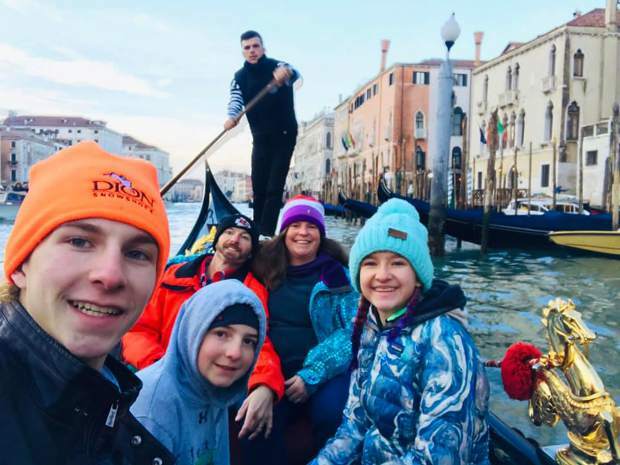 The Vaille family of Summit Cove, from left Jeremiah, Miles, Troy, Kendal and Lexi, pose for a photograph while riding in a gondola in Venice, one of the many tourist spots where Jeremiah made it a point to train for the World Snowshoe Championships despite the tourist element of the locations. Home of the Vaille family of Summit Cove Friday, Jan. 11. 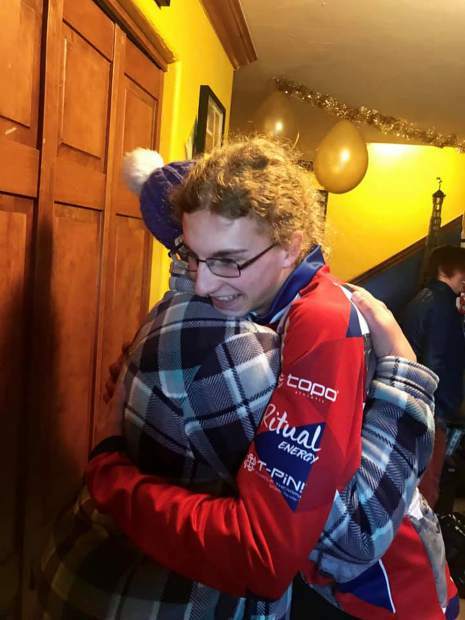 Jeremiah Vaille hugs a family member after returning home from his junior division victory at the World Snowshoe Championships in Fondo, Italy. 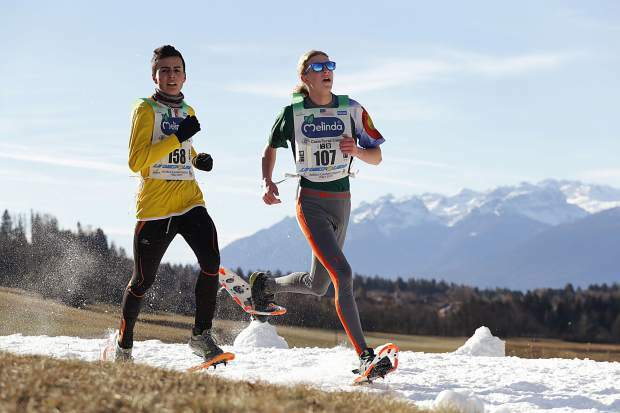 Summit County snowshoer Jeremiah Vaille, right, races in Fondo, Italy at the 2019 World Snowshoe Junior Championships, which the 16 year old won by a 10-second margin. 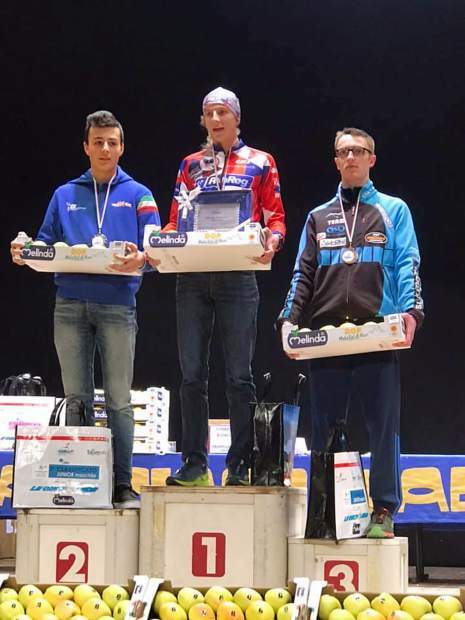 Jeremiah Vaille, center, stands atop the podium after winning the junior division race at the World Snowshoe Championships in Fondo, Italy. 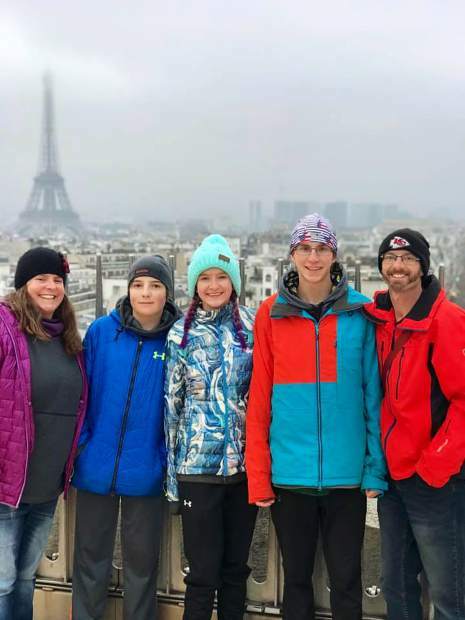 The Vaille family of Summit Cove, from left Kendal, Miles, Lexi, Jeremiah and Troy, pose for a photograph in front of the Eiffel Tower in Paris, one of the many tourist spots where Jeremiah made it a point to train before the World Snowshoe Championships despite the tourist element of the locations. A glance around the Vaille family living room tells the story. 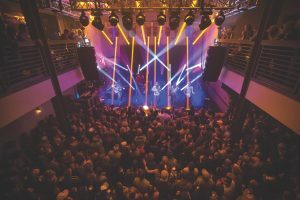 Block by block, father Troy Vaille carefully constructed the pieces in his Summit Cove home. The thousand-piece miniatures represent the locations where Troy and wife Kendal’s eldest child, Jeremiah, trained in the lead up to last week’s World Snowshoe Championships in Fondo, Italy. Jeremiah, 16, won the 19-and-under World Snowshoe Junior Championship race on Jan. 5, defeating his nearest Italian competitor by more than 10 seconds on the 4.5-kilometer course. At the final 1,500 meters of the race, as the course went uphill toward the town of Fondo, Jeremiah sensed he could gain on his competitor. He passed the eventual second-place finisher to take the title with just 800 meters left in the course. For Jeremiah, the victory came after a family European vacation in the weeks prior. During the trip, he made it a priority to complete his typical running training no matter where he found himself. 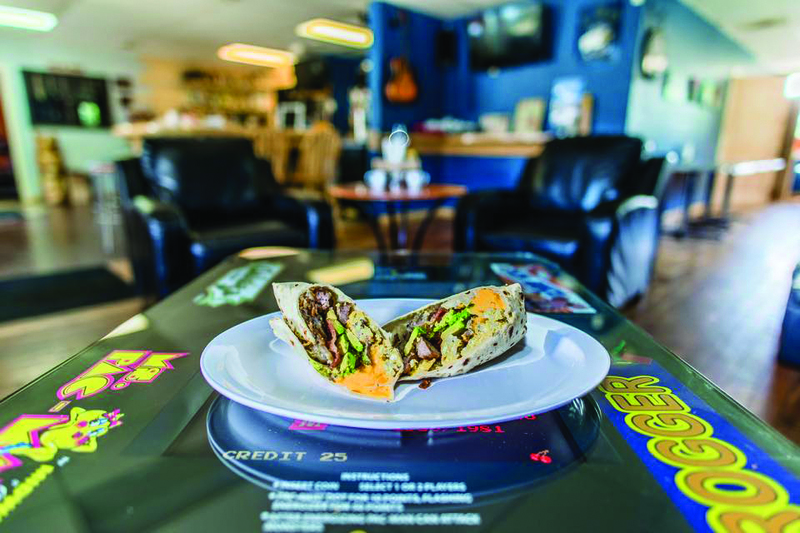 On top of the family walking 6 to 9 miles a day around tourist sites like Paris, Jeremiah also found ways to squeeze in his typical sprint-, short- and medium-distance runs, even if he was far, far away from Summit County. That meant jaunting out to run along the Seine River while his family was seeing the sites around the Eiffel Tower, or darting through slow-strolling tourists along Venice’s skinny streets. Through the trip, Vaille routinely reached around 20,000 steps on his Apple Watch, including a whopping 11.2 miles on Dec. 29. Jeremiah maintained that training schedule up to the race on Jan. 5. The day before, Jeremiah took part in the event’s opening ceremony, which included a parade of athletes. Once the parade concluded, Jeremiah returned to his street-side family to find out his younger sister Lexi, 15, suddenly wanted to race as well. The Summit High School sophomore, also a rugby and track-and-field athlete, registered with the United States team online and rented a pair of TSL snowshoes for the next day. There she was at the starting line, ready to join the fray, though she’d done little snowshoeing in her life aside from casual experiences with the Venture Crew Scouts — a high-adventure Boy Scouts of America option for older teens. Aside from walking through a small portion of the course, the only thing Lexi practiced was putting on her new snowshoes in the family’s hotel room the night before the event. For Lexi, the race was more about having a fun experience, but that doesn’t mean her older brother doesn’t also see her as a strong high school-level athlete. Lexi placed an impressive fifth in her first snowshoe race. She said she’s unsure if she will continue with snowshoeing like her brother. If she chooses to, she’ll have a fresh pair of snowshoes that were gifted to her by Mark Elmore, the man who organized the United States-Canada team that competed in Italy. 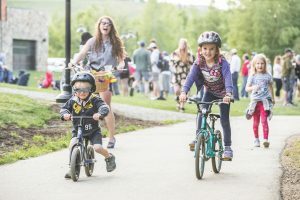 With the race in the books following the family’s run through Europe, the Vailles returned to Summit County earlier this week. When they took the final turn down the vacation’s homestretch along Summit Drive, there was quite the sight to greet them. 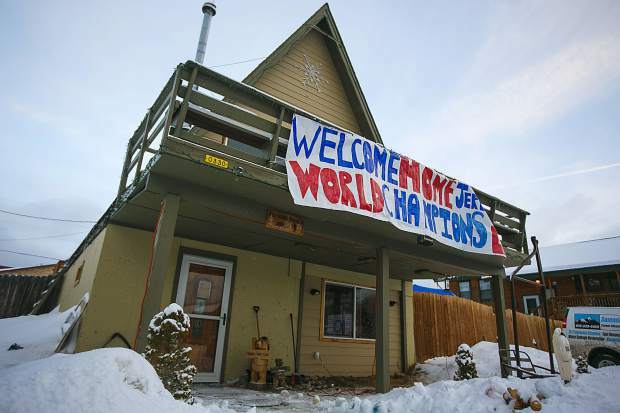 Stretched across their second-level porch was a massive handwritten sign. 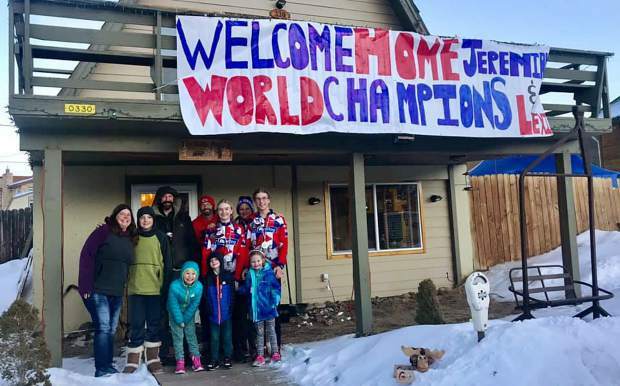 In alternating red and blue bubble lettering it read, “Welcome home Jeremiah & Lexi world champions.” The sign was one of nearly 60 that their Aunt Sarah, who lives nearby, decorated their home with.